Yelwa. Central Nigeria. 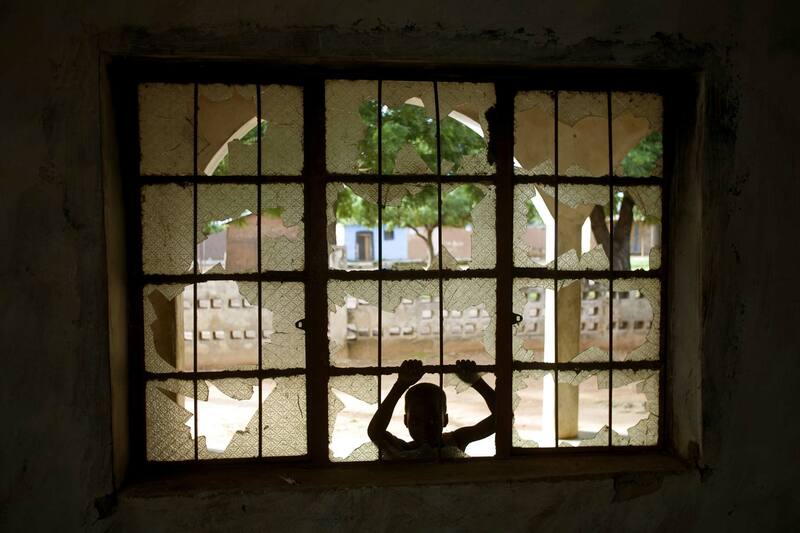 August 2007 A child peers through the broken windws of a mosque destroyed during sectarian riots between Muslims and Christians in the central Nigerian town of Yelwa.